True wellness affects the spirit and mind as much as the body. 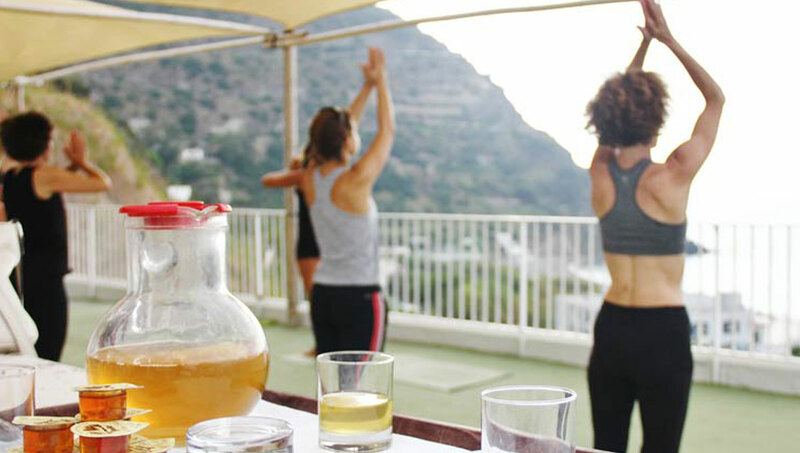 That’s why we arrange a weekly yoga program for our guests. Every morning our teachers meets with the guests on the hotel’s panoramic terrace to teach them how to train the mind and enjoy the here-and-now to relax and manage stress with calm and inner peace. Slow and soft movements help the body to release the muscles from tension and get toned. The respiratory exercises complete this program of inner and physical wellbeing. 6 lessons from sunday to friday , every morning from 7.30 o ' clock to 9.00 o' clock on our panoramic terrace (with adverse weather conditions the lesson will take place in a room with sea view). It is possible to book one single lesson - 40,00 € for 90 min.